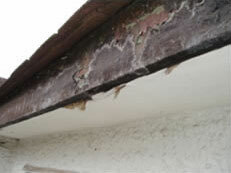 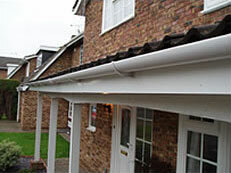 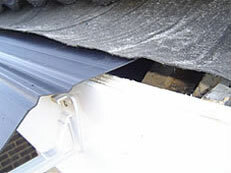 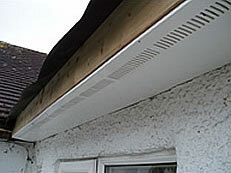 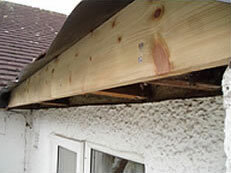 Shown here is a typical example of worn and mis-aligned guttering found on the majority of properties over twenty years old. 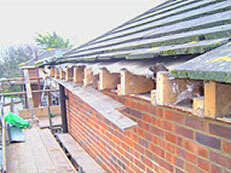 A new pre treated tanalised timber support is fitted to the ends of the rafter feet to ensure good support for the roofing tiles, uPVC fascia, soffit and guttering. 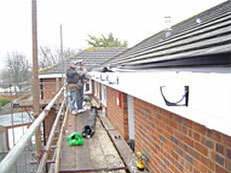 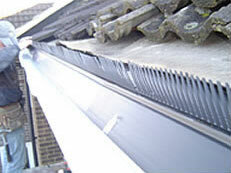 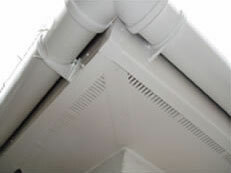 A PVC comb filler is fitted to prevent the ingress of nesting birds (depending on tile type). 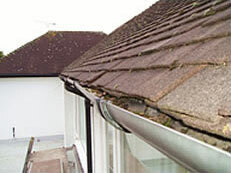 For a free site survey to view samples of colours and styles and an installation quotation, please call us now on 0800 7312092 to arrange a convenient time.